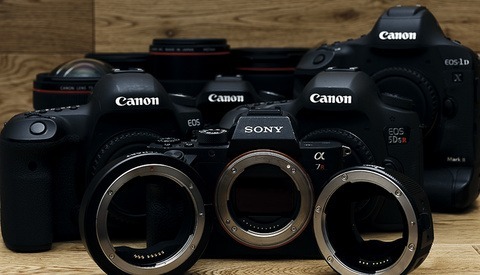 Patrick Hall shared some opinions about what features our professional DSLRs absolutely should have, but don’t, going into 2015. And he was right. But as happy as having those features would make us, not one or even all of them would allow any single company to become the next Apple or Google of the photography world. However, there’s something bigger that no one is thinking about — or at least there aren’t any signs of it. Canon, Nikon, Sony, Fujifilm, Phase One, Hasselblad; no one seems to be doing what it would really take. The story of Google and Apple is now an old one, but in the end it comes down to one thing: innovation. There are two ways to support and drive innovation. You can come up with great ideas yourself if you have the commitment, drive, and ability to do so. Or you can open your technology/system to let others contribute so they can do it for you. In the case of Google and Apple, Google is more open, and Apple is more closed, but each company does at least a bit of both. 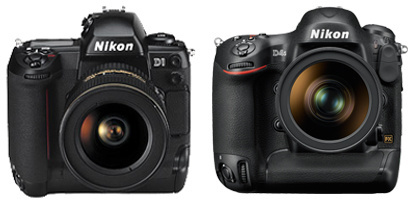 The Nikon D1 just isn't that much more different than the D4S from an operability standpoint. What has really changed? Buttons on the back, faster response, bigger screen... But it's largely the same thing. 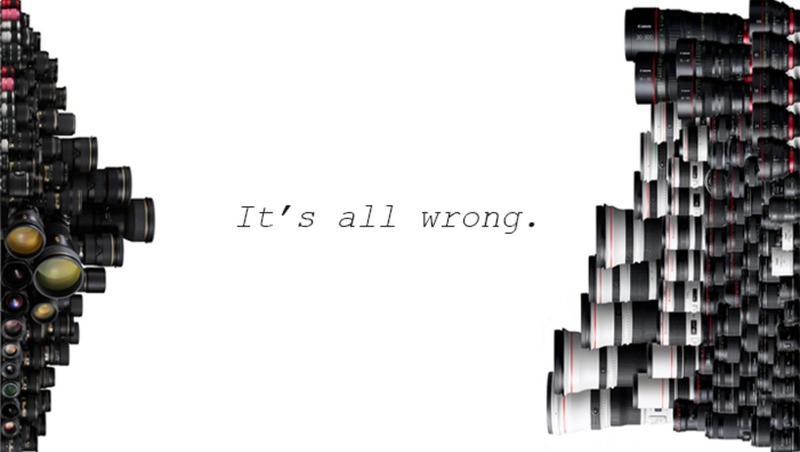 The problem in our industry is that everyone is stuck in a hardware-driven world. All of the marketing that Nikon and Canon do discusses in-camera Wi-Fi, larger sensors with more pixels and higher ISO, Kevlar shutters that last longer — the list goes on. But how much has the menu system changed since the battle ready D1 and its in-house sensor dominated Kodak's Nikon/Canon-reskinned DCS line? How much has actual picture taking and file delivery changed since then? Sure, it’s all gotten faster. Yet none of it has really been different in a way that’s revolutionary. For the most part, everyone is still connecting card readers to computers with a cable. Wi-Fi is still a pain to use with certain systems if you’re lucky enough to even get it without paying for a $500 plus accessory. FTP functionality is limited. Camera-to-camera communication is virtually non-existent without complicated and expensive mostly custom setups. 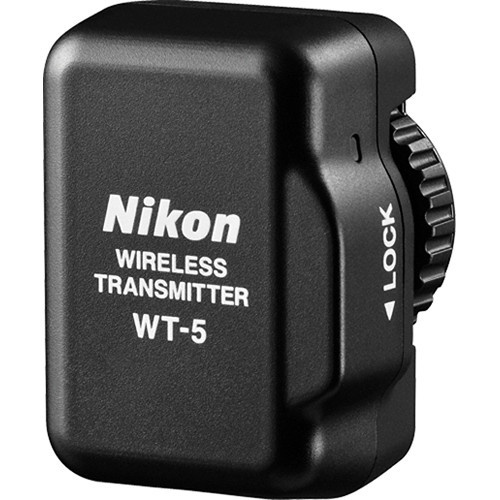 This little guy -- the Nikon WT-5a wireless transmitter -- will give you wireless control of your newer Nikon DSLR cameras for a whopping $550. Until any of these camera manufacturers commit to developing better software and enable broader compatibility and custom programmability, no one will stand out to really “own” the market or to do what our industry really needs someone to do. If manufacturers concentrate purely on hardware, there will eventually be such few differences between each product’s abilities that companies will struggle to differentiate themselves from the competition. Companies like Sony will be one of the few to make what many really agree are some of the best sensors in the world. The camera manufacturers that use these technologies will fight each other tooth and nail to grab what percentage of the market they can while company after company starts to shut down around them, unable to differentiate themselves enough from the next guy to command decent market share. Wait. Excuse me. This already happened. Similarly priced Nikon and Canon cameras take just about the same quality photographs. You could say the same for any camera on the market (with a few “designer” exceptions). Kodak’s digital business experienced a rather sad and uneventful death, and Sony is arguably the premier sensor manufacturer in the world. Along with less than a handful of other manufacturers, they’re all that really matter — everyone picks from the same pool of available bare-bones hardware as Hasselblad, Phase One, Pentax, and Mamiya all did with the latest 50-megapixel medium format CMOS sensor from Sony. What’s the difference? The difference is in the software and final implementation of that hardware (and MSRP, of course). While hardware is important, it is also the only thing that determines what features a device won’t have. We can imagine anything we want with the right software, but we can only implement what the hardware of the current generation will allow us to do. This might seem like a counterintuitive argument, and it is to some extent. This is also why hardware is so important. Without improvements in that area, more advanced software won’t be able to shine within these products; but software and inter-device communication and compatibility is where the magic happens. So why aren’t camera companies imagining? Why aren’t they innovating? I imagine a world in which camera companies help create new image formats with better compression technology like that found in the BPG format, and then share that information immediately with Adobe so photographers can have new firmware and Creative Cloud updates in the same day. Let Adobe have it for free and charge competitors to license the technology. Everyone wins. Both of these images were saved at an approximate file size of 35kb. 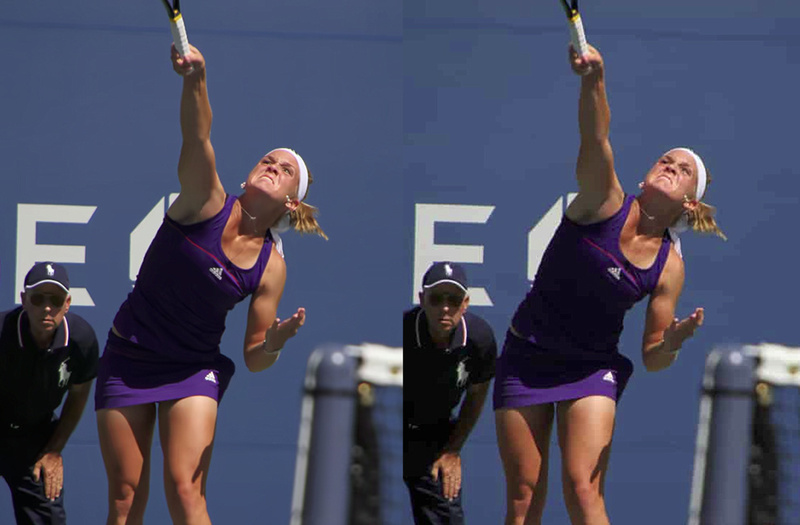 The one on the left uses BPG compression while the one on the right uses JPEG compression. Image shot by Edwin Martinez and used under the Creative Commons Attribution 2.0 Generic license: https://creativecommons.org/licenses/by/2.0/deed.en. I imagine a world in which any company can build a wireless device that efficiently uploads images with any imaginable array of custom presets over FTP through a cellular connection so companies like the New York Times don’t have to build ridiculously expensive and complicated custom solutions like this. I imagine a world in which Nikon or Canon or Hasselblad or anyone creates software that allows photographers to do anything we want with a few clicks of the mouse or taps of an iPad screen – a world in which we could synchronize an unprecedented number of cameras for whatever crazy, creative projects we have in mind. I imagine a world that reimagines the camera interface and UI on the back of the screen to give us a better user experience, maybe even letting us interface better with social media through an integrated iPad app to which pre-developed versions of in-camera-tagged images are uploaded to an array of outlets. I imagine a world in which photography companies stop creating cameras with “fewer” features that were so obviously left out so as to reduce cannibalization of the flagship model. Instead, two fantastic bodies — one low-light sports beast and one high-resolution megapixel champion — could co-exist at moderate prices, reducing R&D costs, production costs, replacement parts costs, repair costs, and the cost of ownership. All this with a minimal impact on profit thanks to a simplification of the product line and greater affordability, which leads to a higher adoption rate of new products as they’re released. I imagine a world in which we can rely on one company to commit to improving its system so it will work with new technologies as soon as they are developed. Just create a fast body paired with a 20MP full-frame sensor and another body with a full-frame 40MP sensor. Give us Kevlar shutters, magnesium bodies, and real, professional controls on both bodies to make the transition seamless on set. Copy that thinking in Micro Four-Thirds, APS-C, and medium format sizes with appropriate pixel counts for the respective sensor size, and create the best lineup anyone could ever imagine. These are all things that can happen with software changes and the right implementation of current hardware. Why do I need six different programs on my computer, five different transfer cables, four different bodies, three different kinds of memory cards, two different battery chargers, and half of a poorly crafted and very late Christmas pun to help me voice my frustration (I swear it wasn’t meant to be this way)? Fuji, Sony, Nikon, Canon; anyone could come tomorrow with a new card format offering the fastest speeds and greatest capacities available, a revolutionary image format with best-in-class compression, and the highest resolution and/or best low-light sensors in the world. Throw in bundled software we actually want to use (or open the system completely to developers, including RAW file processing information), all the greatest networking options available, and then charge a premium. Shabang! They’d own the market in months not only in profit, but also in market share. 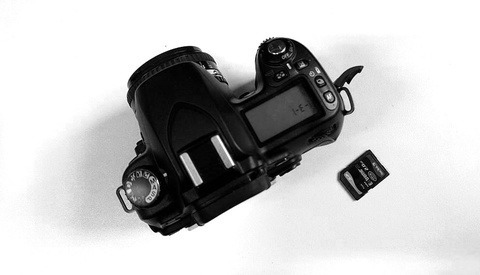 Recent rumors abound, yet with scarce details, on Nikon’s new firmware upgrade plans. Fujifilm has done a great job of releasing useful firmware updates that unlock new and faster features for their popular mirrorless lineup. And Canon's dedicated Magic Lantern enthusiasts keep some hope alive for better features in today's Canon DSLRs. But firmware updates just won’t cut it in the long run. Budget companies will always exist. But why won’t someone really be the push forward that we need? The real reason is that everyone is afraid of giving up gains made from the marketing hype surrounding each incremental feature increase from consumer, to pro-sumer, to professional-level bodies, driving consumers to spend the extra $100 to upgrade every time. This is always a classic short-term approach. Someone will step up and take a run at the market for the long game. The only questions that remain: Who will it be? And when will it happen? Would be best if you don't open a post in the manner that you did. It came across as anti-American. After all, this is an American site filled with Americans. The way you are talking down to Daniel doesn't help either. Really, Since when was Nikon, Canon, Sony, Pentax.... e.t.c. from america. Maybe you should not be so sensitive. The word "american" was mentioned once in my rant after that it was a critique aimed at camera manufacturers short time business gains and their self interest for their share holders. And since Kodaks miserable failings and bankruptcy in the camera market there (as far as I know) has not been a North American camera manufacturer. I did not see any flag burning or similar in my post but maybe you americans are so sensitive today after your successful foreign policy operations all over the world. I did not make any political statements in my rant either unless anyone can interpret a complain about business owners short time ambitions as a political standpoint. It was later people that posted that made gave my complaint rant into something political. Unless you are of the standpoint that business is politics and that might be true especially in the US where politicians are under the heavy influence of commercial lobbyist and pressure groups. If I look at wiki definition of capitalism they are talking about capitalism as a economic system based on profit and since US is still (but not for very long) the largest economy in the world I decided to make that verbal pun in the beginning of my statement and if you feel that I am talking down to anyone I am so sorry about that but that was not in something I said but maybe something you heard. My post, in no way, logically indicates that I wish to discuss politics. You were the one that brought up politics in your odd opening statement, as another poster noted. Of course business ("capitalist system") is part of politics. I don't believe that you really think otherwise. Where did I say or suggest that "Nikon, Canon, Sony, Pentax.... e.t.c" was from America?? My post was simply addressing your opening remark and your subsequent remarks to Daniel. I should not be so sensitive? Really? If you had gone to any site based in any other country filled with the nationals of that country and made such an opening comment, it is not likely that it would have gone without some critique, at best. "but maybe you americans are so sensitive today after your successful foreign policy operations all over the world." So there it is, along with some of your other comments. You are showing what I suspected, and what you insinuated in your opening statement in your first post, that you simply wished to express your anti-Americanism. "if you feel that I am talking down to anyone I am so sorry about that but that was not in something I said but maybe something you heard." Clearly you were. Would you talk the way you did to Daniel with someone you never met and in person, *if you were concerned for your safety? * I wouldn't. Most people wouldn't. I'm pretty sure you wouldn't. Not if you are sane. Kodak was an American manufacturer. North America is the continent. I can not really be bothered to continue this conversation. I am happy that I now suit into you image of the world and how people are and that you feel convinced that your way is the right way. I was responding to you, not any other people, and not the world. Why would you be happy to know that I view people, and the world, in a certain and same way? Is it because it would support your less than favorable biases and views towards Americans, illogical as it may be? The rght way is the respectful way. Yeah...I don't think Karl knows how much of a capitalist I really am. But that's besides the point. My points in this article speak more to a difference in opinion about how these businesses should be run and what their goals should be -- short term vs. long term benefit/profit/marketshare, etc. And either way, they're just failing us. Most of these changes (hardware OR software related) are simply not THAT costly to implement. Margins wouldn't drop that much at all in order to include reasonable WiFi and other transfer options in pro-level cameras. That stuff is cheap today. It's just that no one wants to give it to us without charging the few that REALLY need it ridiculous amounts for those "extras." The other thing Canon/Nikon and every other maker is missing out on is lower ISOs. For years they have raced to be able to shoot in the dark without grain, but what about all the semi-natural light and daylight shooters that are buying up all this 1.4 and 2.8 L glass. We wanna shoot in daylight with with limited depth of field. GIVE ME 64 and 25 ISO so I can use fill flash and no ND filters!! The technology does not currently exist to make sensors that deliver good high ISO and low ISO at the same time, without compromising highlight detail at least. So as long as the majority of people demand (and crow online about) high ISO performance, that's all that manufacturers will focus on. 1- Better sensor designs that resolve more detail. Something along the lines of Sigma's Foveon Merrill sensor but with much greater sensitivity. Everything else (Bayer sensors) is blurry in comparison. 2- Jpgs at highest quality compression with no noise reduction and no sharpening applied. None at all. One more time. None at all! In other words, jpgs that look like they just came from RAW with no degradation in image detail. It boggles the mind that no camera maker does this. 3- Curved sensors allowing for better lenses and better image quality. 5- Multiple exposures with real time overlay preview on the LCD/EVF. 6- Removable IR filters, such as what you get with Sigma's DSLRs, to allow for easy IR photography without an expensive and permanent camera conversion. Maybe its just me, but I don't want "features". I want a lot of dynamic range, I want great autofocus, and, well, that's it. OK, I admit to wanting good wifi on a body so I can shoot tethered with no tether. But really I would rather have less expensive full frame sensors with even just current high ISO capabilities but better color depth and dynamic range. 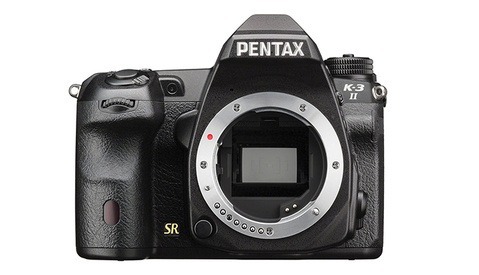 OK I want a 35mm sensor that acts like a medium format camera. SO sue me. haha. If you are referring to film medium format, then you got that already with even APS sized sensors, not to mention resolution. Dynamic range isn't the same as resolution. Clearly, which is why I referred to both. This spills into all tech though i feel. No digs at apple but going to use them for example, before all the apple haters/lovers start a war! there is a muffled voice in the corner of the room, "lets make a bigger one"... "lets make a smaller one"... yeah you know exactly the same but different size. People will love it! Because people have different requirements and different sized hands. My brother uses an iPad mini because he is primarily a book reader, while I use a full sized iPad because I use it as a laptop replacement. I also have small hands, as do most woman, so I prefer a small sized phone for that reason alone. I think for me that Video is one of the things that I could do without on my pro bodies. I personally like to have the screen but can do without all the shooting modes and filters, in camera processing and all that BS. Sensor performance and AF performance are the biggest things for me. So a stills only manual everything (other than focus and metering) body in all metal, weatherproofed would be good enough for me. very much agree with the general thrust of the article. only quibble I have is that for each format, I think you really should have 3 pro models: speed, pixels, and optimized middle ground. call it the goldilocks model. here's another great idea that you've probably seen thom hogan talking about for 10+ years: modularity. think of ordering a custom desktop computer: you're asked what monitor, how much ram, what hard drives, etc, and you pay for each feature that you want, get discounts for some that you strip off. why can't we do that with our camera bodies? I want a bigger buffer on my d800 for instance...that should be a simple enough fix to add another bit of memory, but it can't be done. Best company in a position to massively innovate through software: Samsung. Chances of that happening: snowball in hell.